Congratulations on your new Pinebook! This post relates primarily to the updated IPS 1080p Pinebook with KDE Neon as default OS, which began shipping in November 2018. That said, some of the points relate to non-1080p Pinebooks and other OS'. 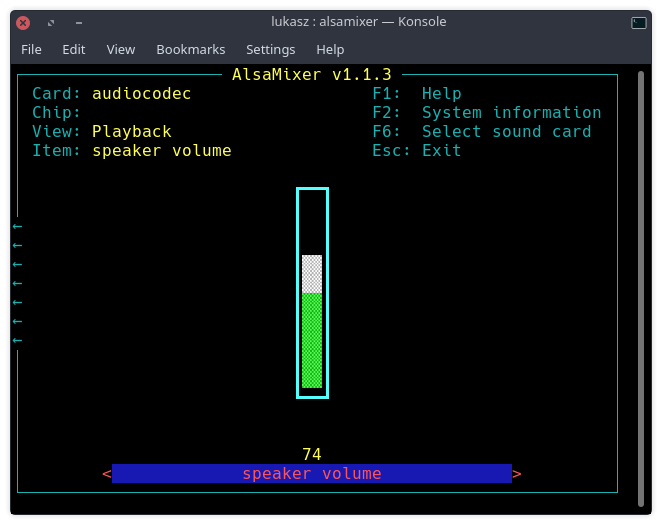 In this post I will cover two basic topics which are bound to come up: 1) tweaks to the default KDE Neon build and 2) alternative OS selection. 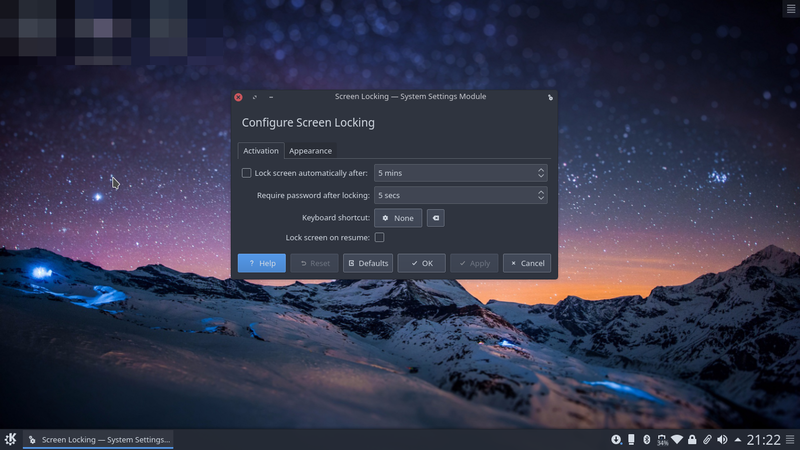 The KDE Neon build that ships with the Pinebook is very polished, but there are some areas where you can significantly improve your experience. There is also a bug that prevents suspend from working correctly, which is thanfully easily solved. [edit 08.11.2018] Looks like the default KDE Neon build as well as Ayufan's builds have the incorrect display refresh-rate. Unfortunately, the refresh rate in BSP is hard-coded. In other words, if you want non-tearing / smoother feeling desktop then you may want to not get too used to your current installation, as its unlikely you'll be able to just update / upgrade to get 60hz working in the near future. [edit 06.11.2018] Installer language. On the first boot you will find the OS language is set to Chinese - don't worry about it (clearly the people at the factory needed to make this alteration to flash the eMMC). The first thing you want to do is connect to your WiFi. After connecting to your access point, click the installer on the desktop. In the installer you can select the language of your choice. Trackpad Sensitivity. The default sensitivity of the trackpad is too low to be usable. 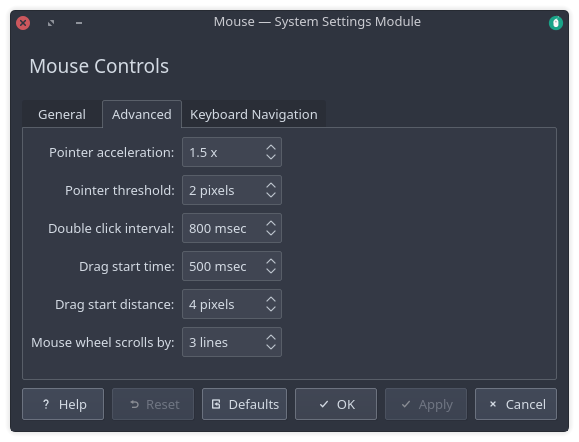 Click the KDE menu and type 'mouse' - click the mouse settings, which should be the first option that pops-up, and navigate to advanced. Increase the pointer acceleration and threshold to your liking. I am linking my settings, which I found to work well. [edit 12.11.2018] Users are putting together a list of all available OS images here. Ubuntu 18.04 with Mate, Ubuntu 18.04 with LXDE, Debian Stretch (no desktop). I do not know what the state of *BSD compatibility is with the 1080p Pinebooks at launch, nor  NetBSD - and likely other *BSD - OS images for the Pinebookk work out of the box. I do not know whether default android builds for earlier iterations of the Pinebooks will work. I'll update this post once i find out. Current Android images do not work on the Pinebook - an Android image for the Pinebook will be released in the future. I will also update the list of compatible Linux OS images as they become available. All OS images can be flashed using different methods to the internal eMMC. For instructions on how to flash the Pinebook with a new/ different OS' please read the NOOB section on the wiki. On my Pinebook, which I received about 2 days ago, when I go to unclick the screen dimming buttons in the other thread, my changes are never saved after hitting reply. What's going on with that? I mean, this is a serious issue? Is it being addressed? I know $99 isn't much, but I just paid 99 for a laptop I can't really use because it keeps going dark. If there isn't a fix forthcoming I am going to contact my bank or Paypal, or however I paid and reverse the funds. (11-17-2018, 06:07 PM)Ricardus Wrote: [ -> ] On my Pinebook, which I received about 2 days ago, when I go to unclick the screen dimming buttons in the other thread, my changes are never saved after hitting reply. What's going on with that? I would strongly suggest you wait. I know that a large number of people are having the same issues. It's a good idea in the interim to set your sleep time to something longer (I have mine set to 30 minutes) and if you are leaving it for any duration over that time shut it down fully. I have found in some situations the screen does return and I have now established I can access it remotely using Putty or VNC even if the screen has dropped out with no problems, so I am sure it's only a minor issue that is fixable in code. It does appear to be an issue with the power management system, but the battery life is so great on the Pinebook and it stays cool even when being pushed to it's limits I'd have no trouble taking it to work in my rucksack and leaving it on all day, only using it during my lunch break - If I need more charge I have made several USB to DC 3.5x1.35mm male plugs so I can use my large battery packs but I doubt this is going to be something I'll need to do during a 12 hour shift. The tips given by the OP here are really good though, little tweaks to solve several minor niggling little issues. Having had the Pinebook for a week I really am over the moon with the value for money and performance, and I look forwards to this little company getting bigger and more popular as a result - really good work on their part for both a finished product and the support pages in many languages as well as supporting a forum allowing users to chat to each other to self resolve minor issues - Who does that these days? What is "the other thread"? Can you use this command in the terminal? (11-18-2018, 07:38 AM)jschall Wrote: [ -> ] I was experiencing the problem that so many people have been having. The screen blanking and not coming back to life using any normal means. 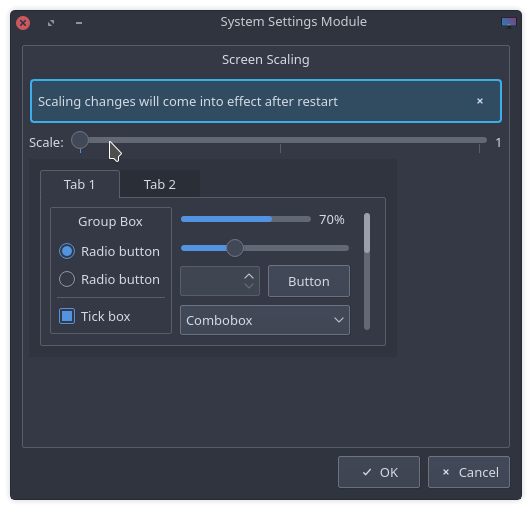 And in that thread he links to rookieone's message that mentioned changing set the "Screen Energy Saving" to a smaller value than the "Dim screen" one"
It also mentioned just disabling both of those features by just UNCHECKING THEM, but with mine, unchecking them doesn't work. It's not persistent. When I uncheck them and hit apply, it makes you THINK it's to work, but when I close out that window and bring it back up the boxes are checked again. But it does look like set the "Screen Energy Saving" to a smaller value than the "Dim screen" one works. But those buttons being checked after I unchecked them is a bit concerning. Has anyone else seen that? Hi there. I have my 11" PineBook running KDE Neon. Unfortunately it's out of disk space. How do I expand the image to use all of my 16Gb eMMC? Thanks. (12-31-2018, 10:54 PM)ame Wrote: [ -> ] Hi there. I have my 11" PineBook running KDE Neon. Unfortunately it's out of disk space. How do I expand the image to use all of my 16Gb eMMC? Thanks. I think you can just use the KDE Partition Manager app and it expands the partition to whole eMMC. If you installed it correctly, it should do it automatically. Thanks for replying. It's moot now as I think the disk is now full and the PineBook won't boot (it boots, but stops before anything useful happens). I think I'll have to download the KDE Neon image and re-flash the eMMC. Ok. As I mentioned on another thread I managed to get a console login, delete some files, and reboot successfully. It was not necessary to re-flash the eMMC. I installed KDE Partition Manager and can see 8GB of available unused space. The next step is to resize the partition. Why is this not mentioned anywhere? Am I the only one to have encountered this issue?